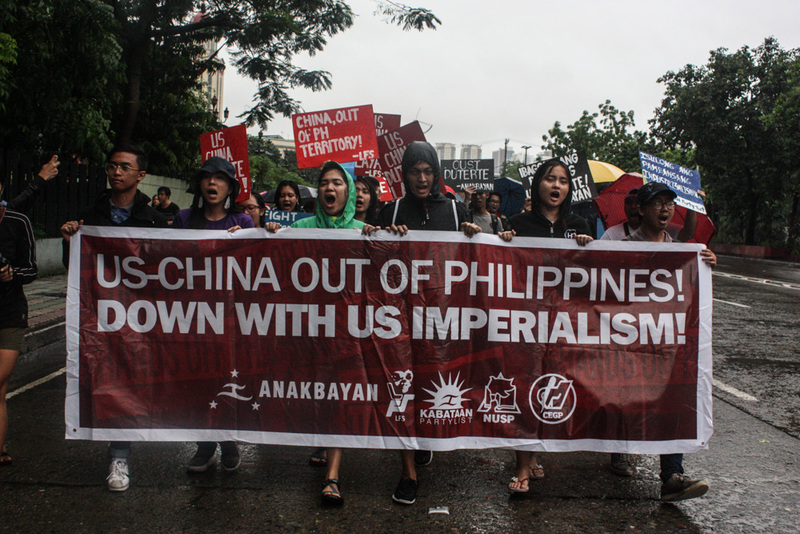 Despite heavy rain, activists trooped to the Chinese embassy to protest China’s encroachment in Philippine territory. 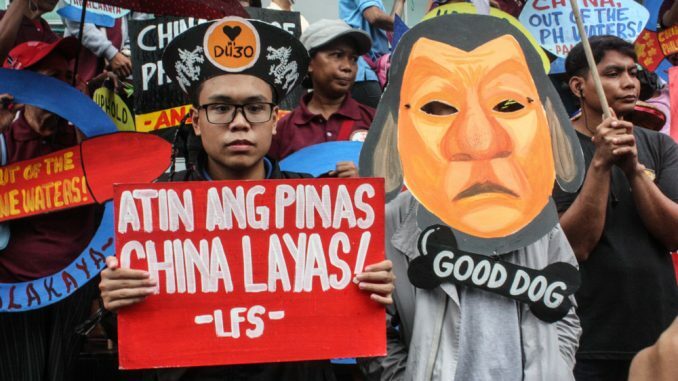 A cardboard mask is worn by an activist depicting President Rodrigo Duterte as a subservient lapdog. 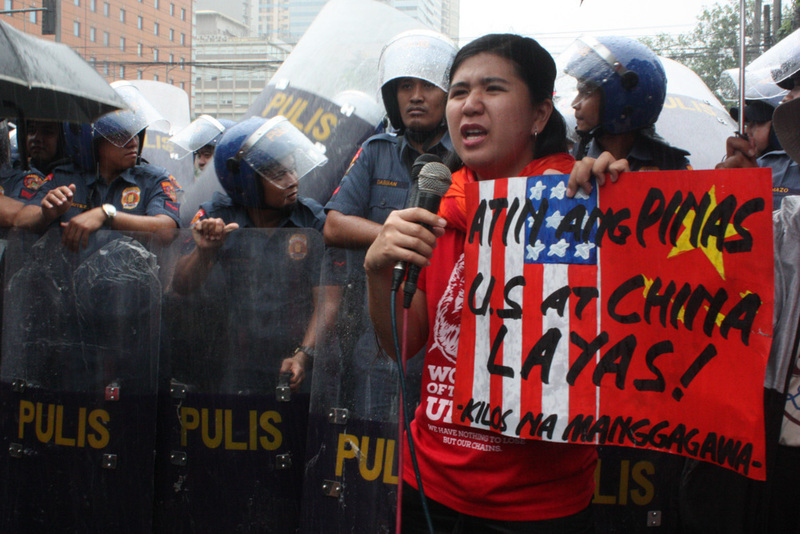 After the protest at the Chinese embassy in Makati, patriotic groups went to the American Embassy. Youth leaders carry a banner with the slogan ‘Down with US Imperialism’. 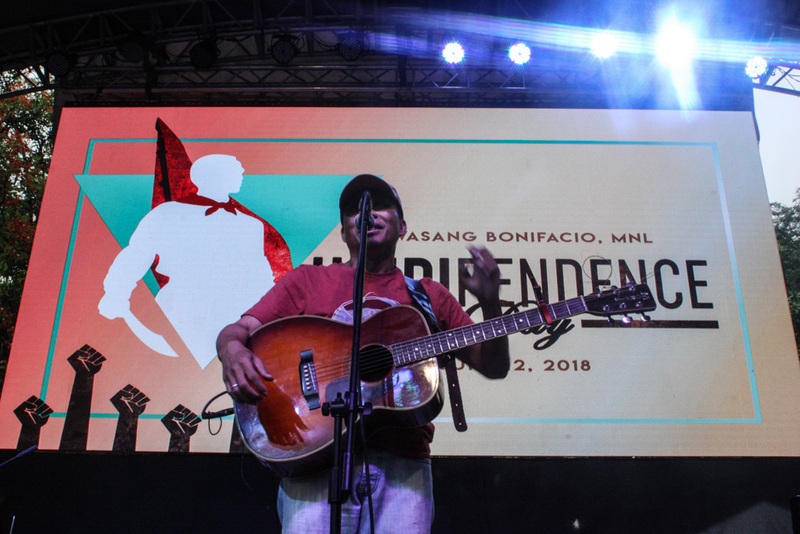 Danny Fabella, a musician known for his patriotic and pro-people songs, performed at the HINDIpendence Day gathering at the Liwasang Bonifacio. 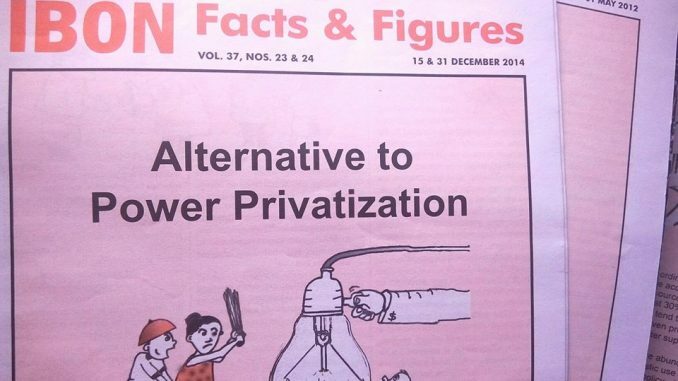 Fabella exposed the government’s failure through satirical lyrics. Nanette Castillo, mother of victim Aldrin Castillo take to the stage to denounce the government’s policy of extrajudicial killings. 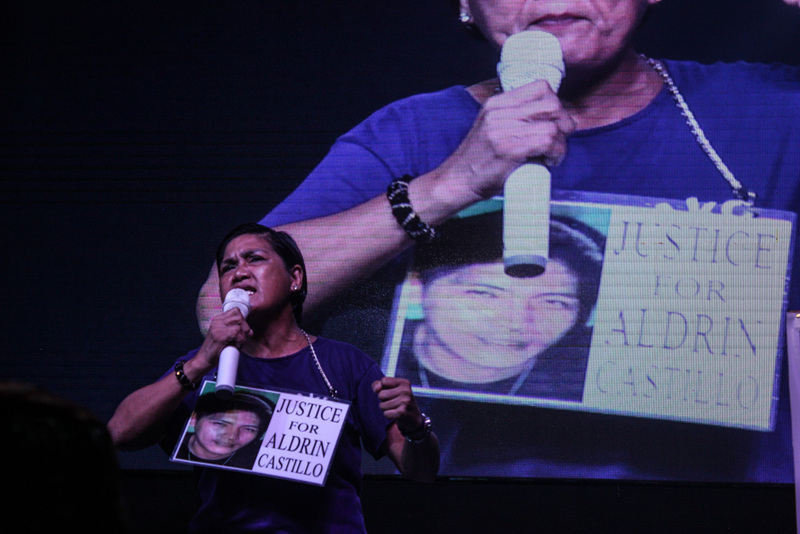 Her eldest and only son, Aldrin Castillo, was amongst those killed in Duterte’s war on drugs in October 2017. 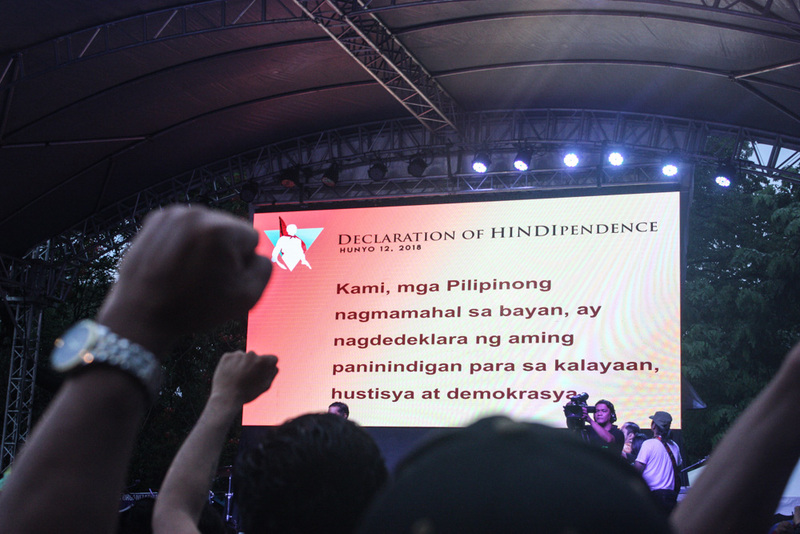 Towards the end of the program at Liwasang Bonifacio, the people raised their fists while reciting the ‘Declaration of Hindipendence,’ a vow of vigilance against tyranny. 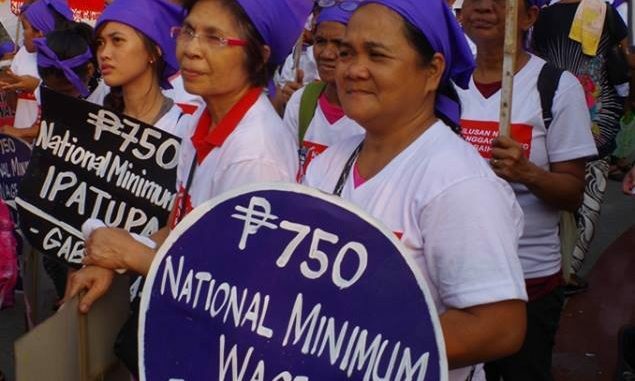 The post In photos: Independence Day Protest appeared first on Manila Today.